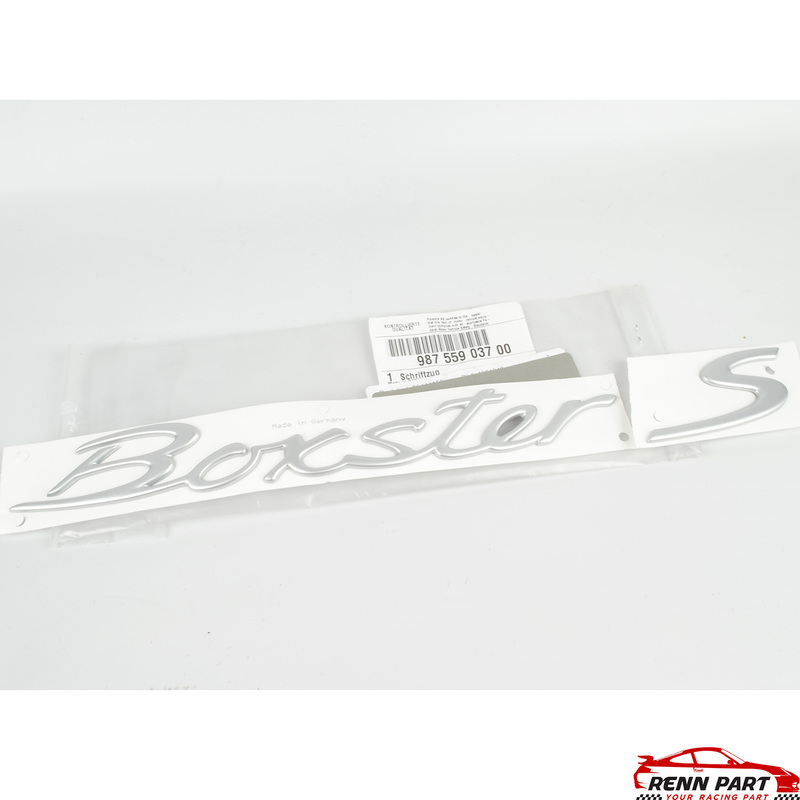 Genuine Porsche “Boxster S” script emblem. Satin Aluminum finish is pictured, also available in a high gloss chrome. These are not available without the “S,” so if you have a standard Boxster you can keep the “S” or stick it on the back of your friend's Prius. Genuine Porsche parts.